This safari will have you visit the exotic wildlife of Tanzania and cap off by enjoying the pristine waters of Zanzibar beach. Explore the top safari parks such as Lake Manyara, Ngorongoro, and an in-depth tour at Serengeti. Then fly up high to Zanzibar for an ultimate beach hopping experience: Kizimkazi to see dolphins and Humpback; and Eastern beach of Bwejuu beach which boasts the magnificent white-sand beach. Finally, stay in luxury accommodation because it’s not a holiday if it’s not luxury! We pick you up from Arusha and with lunch boxes, we head to Lake Manyara national park. The park gate is located barely 130kms from Arusha City. Lake Manyara is famous for tree climbing lions, why these lions habitually climb trees is still up for debate, but viewing a pride relaxing in an acacia tree is a remarkable sight! The park is also famous for its elephant and a huge number of baboons, and its varied landscape supports an impressive range of other game including wildebeest, buffalo, hippo, flamingo, zebra, warthog, waterbuck, dik-dik and impala. Enjoy an early breakfast at the lodge before we descend to the largest world crater for an astonishing game drive. Ngorongoro Crater contains over 25,000 large animals including black rhinoceros, wildebeests, zebras, eland and Grant’s and Thomson’s gazelles. The crater also has the densest known population of lions, numbering. Higher up, in the rainforests of the crater rim, are leopards, about 30 large elephants, mountain reedbuck and buffalos, spotted hyenas, jackals, rare wild dogs, cheetahs, and other felines. You will enjoy full day game drive, then head back to the lodge afterwards. After breakfast, we drive you to the southern grass plains of Serengeti for another lifetime game drive for the next 2 days. The Serengeti’s southern plains are where the name of the park comes from. Vast grass plains stretch from southern Seronera into the Ngorongoro Conservation Area. Outside of the migration season, this area is not as good for the game as the central Seronera region or the Western Corridor, but from December through to April the migration covers the entire area. February is a superb time of year to be here for the spectacle of the calving season when 8,000 wildebeest are born every day for a two week period. In the evening drive to Ndutu Safari lodge for dinner and overnight stay. We drive to the central region of Serengeti, the Seronera region for another game drive. The predator viewing here is exceptional with approximately 3-4,000 lion and huge numbers of cheetah, leopard and hyena. Other animals commonly found in the park include topi, eland, hartebeest, buffalo, elephant, caracal, serval, bat-eared fox, hyrax, genet, hares, porcupine, aardvark, giraffe, jackal, mongoose, crocodile, monitor lizard, aardwolf, many kinds of primates including baboons, vervet and colobus monkeys, and over 500 species of bird. Wake up early in the morning, enjoy hot breakfast, and then pick up your camera to get some pictures of wildlife and the plain grass land of Serengeti. The Serengeti’s main attraction is the Great Migration, consisting of up to 2 million wildebeest, 200,000 zebras and 350,000 Thompson’s, impala and Grant’s gazelles. The predator viewing here is exceptional with approximately 3-4,000 lion and huge numbers of cheetah, leopard, and hyena. Other animals commonly found in the park include topi, eland, hartebeest, buffalo, elephant, caracal, serval, bat-eared fox, hyrax, genet, hares, porcupine, aardvark, giraffe, jackal, mongoose, crocodile, monitor lizard, aardwolf, many kinds of primates including baboons, vervet and colobus monkeys, and over 500 species of bird. Enjoy an early breakfast at the camp. Depending on flight time (always around 12:24 pm afternoon), you can have a short game drive before we proceed to the Seronera airstrip for flight to Zanzibar spice island. Upon arrival, our driver guide will pick you up from Airport to Indigo resort for lunch then proceed for the Zanzibar historic town tour. 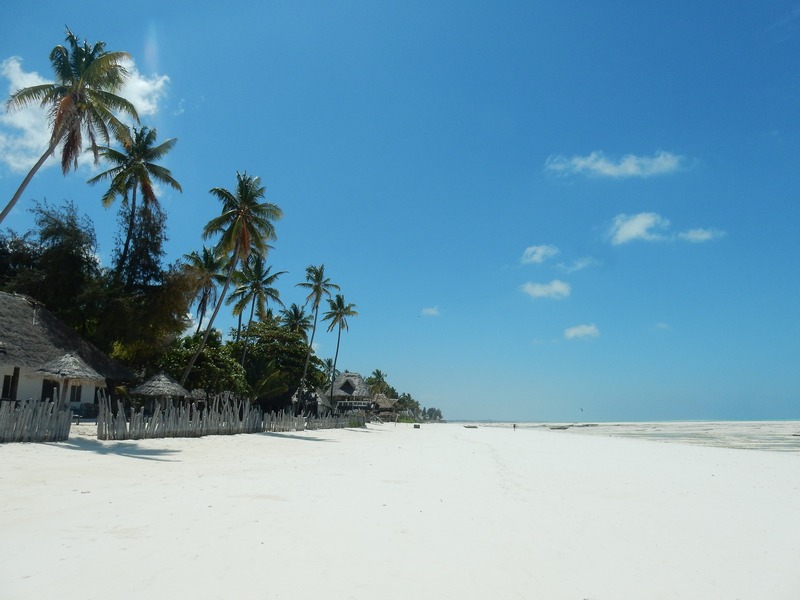 We proceed to Kizimkazi, the southern beach of Zanzibar. Kizimkazi fishing village is home to several schools of bottle-nosed dolphins and Humpback dolphins, which can often be sighted following a short boat trip from the village. If you are lucky, you may be able to swim quite close to the dolphins, which can be a very rewarding experience. We are doing this trip in the early morning to avoid the crowds of tourists in the morning, as big numbers of them disturb the dolphins. In the evening depart to Indigo beach hotel for dinner and overnight stay. After breakfast, we depart from the southern beach to enjoy and explore the Eastern beach of Bwejuu beach. This part of the coast features a magnificent white-sand beach, which runs continuously for 20km, backed by stands of palm trees and fronted by a stunning coral lagoon with a fringing reef around 1km offshore. Enjoy sand and Sea the whole day at Bwejuu beach. We go to Bwejuu Eastern beach heading to the Northern famous beach of Nungwi. Right on the northern most point of the island, the beach that surrounds this area is truly stunning. Azure waters and white sands are what awaits those that come here. In the evening driven to Z hotel for dinner and overnight stay. After breakfast, we walk to Zanzibar stone town, where you will learn more about the people’s history and culture. Zanzibar stone town tells more about the slave caravans from the mainland, business operated by the Arab merchants to cloves plantation and Swahili culture. In the evening, you will depart to the hotel for dinner and overnight stay. After breakfast, enjoy some time to relax and enjoy the cool waters at Nungwi Northern beach and fly back to Dar-es-salaam.